Characteristic of USM office furniture is the uncompromising implementation of a function-oriented approach. 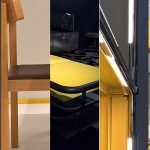 USM Haller is a modular furniture system that can create complex furnishing solutions from a very simple, basic structure: metal tubes form the skeleton, steel panels serve as cladding while small chrome plated brass balls connect and stabilise the entire structure. 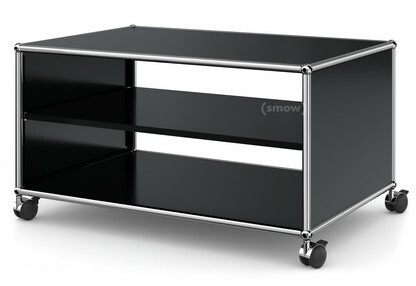 In addition to classics such as the USM Haller sideboards the USM TV lowboards on wheels are also thus constructed. 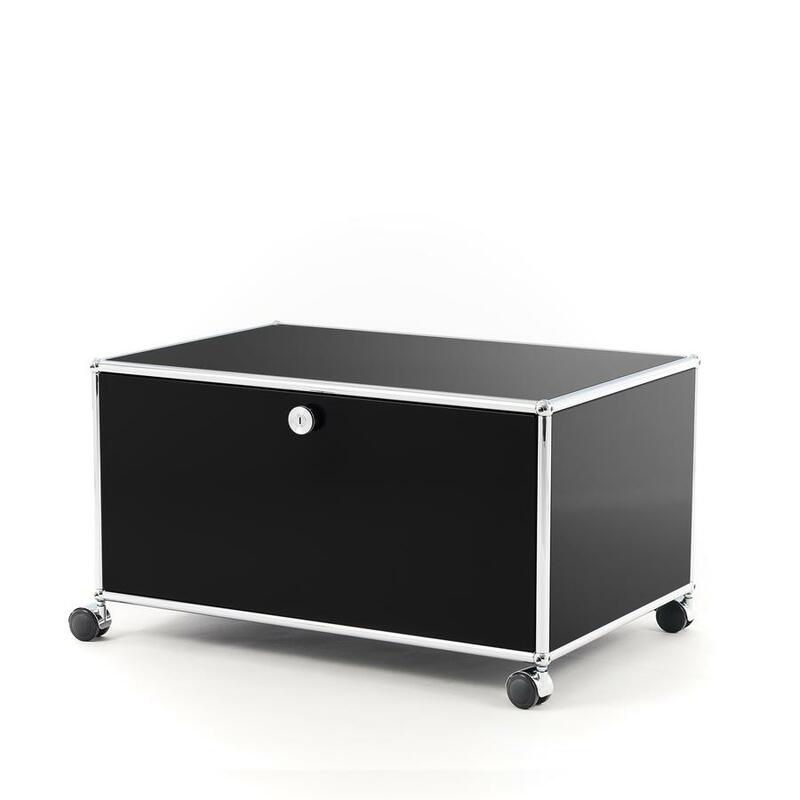 The USM TV lowboard on wheels features a USM unit that is optionally with a drop-down door. 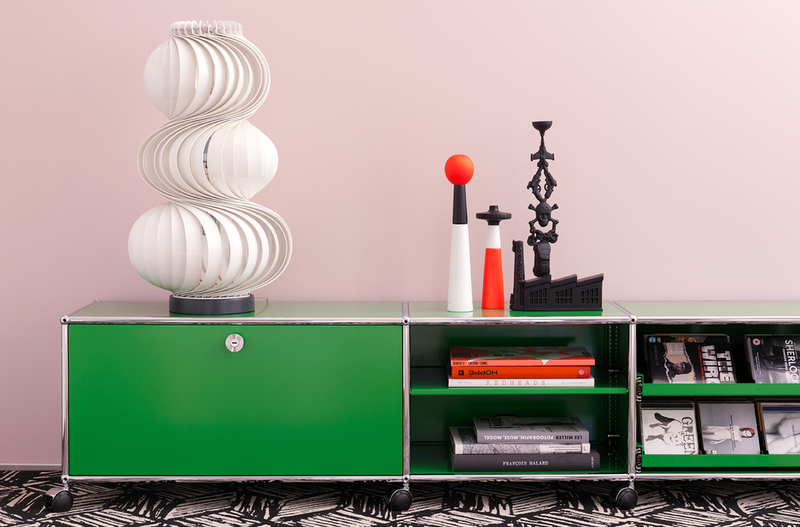 Despite the clear focus on the functional, USM furniture always guarantees a stylish, elegant interior. Originally developed for the company's own offices, the system entered series production following a commission in 1969 to furnish the offices of the Paris based Rothschild Bank and since then system USM has gone on to become an established international classic. 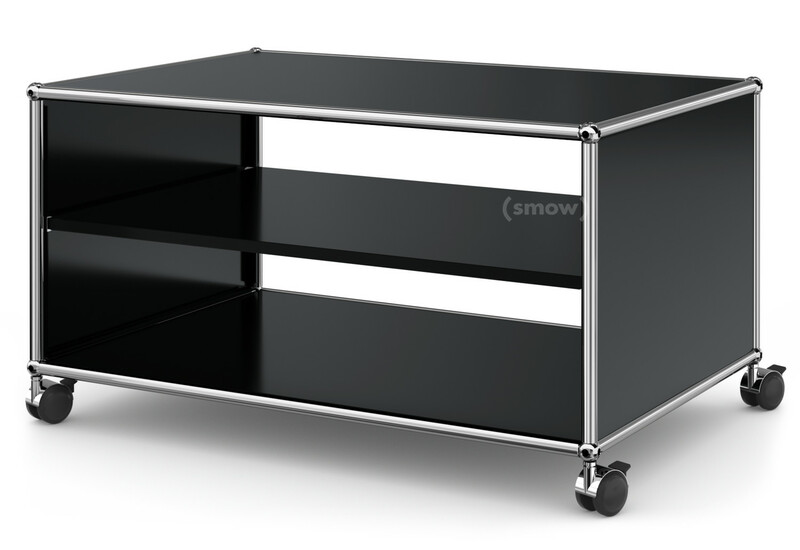 The USM TV lowboard on wheels is a compact media solution from the USM furniture system. 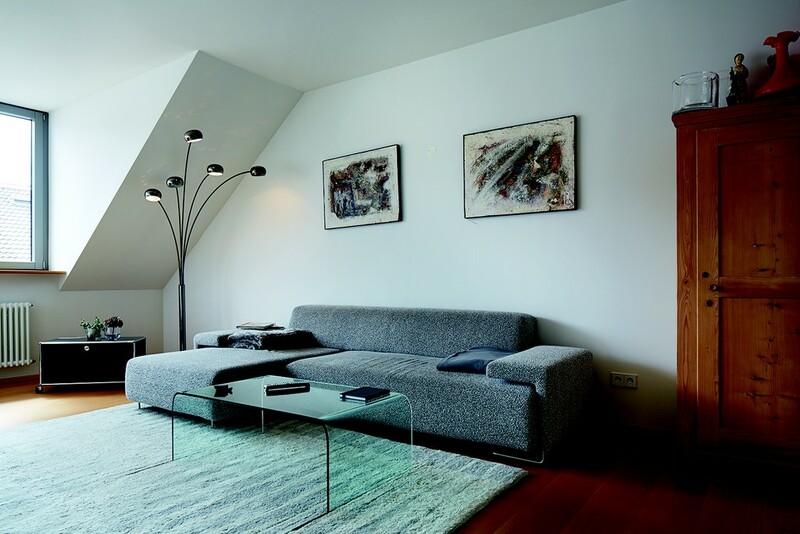 The designer of USM modular furniture system is Fritz Haller. Born on October 23rd 1924 in Solothurn, Switzerland, Fritz Haller trained a s an architect and designed numerous schools, office buildings, private homes and production halls. In 1961 Haller was commissioned by USM director Paul Schärer to plan and construct new production and administration buildings; a commission which eventually led to the development system USM Haller, Haller's greatest public success and a system which revolutionised the office furniture world with its amazing functionality and timeless elegance. In addition to his architecture and design work Fritz Haller also served as a full professor at the Faculty of Architecture of the University of Karlsruhe and worked as an honorary professor at the University of Stuttgart . Fritz Haller died on October 15th 2012 in Solothurn, Switzerland. 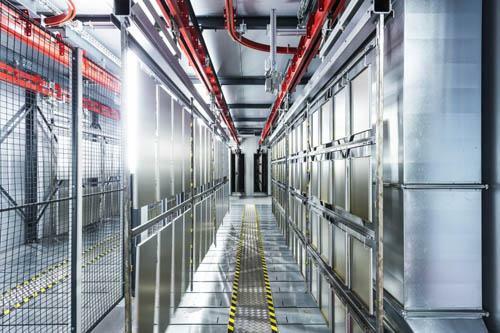 USM Haller components in the company's modern powder coating facility. The majority of USM Haller production takes place at the company's headquarters in Münsingen, Switzerland. 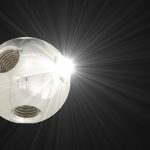 There, the metal tubes for the skeleton, the chrome plated brass connecting balls and the metal and glass panels are produced. The metal cladding can be powder coated in one of 14 USM colours, the system tubes meanwhile are offered in eleven different lengths. For the German market the raw materials are shipped to the USM factory in Buhl/Baden-Württemberg where trained staff assemble the ordered units. 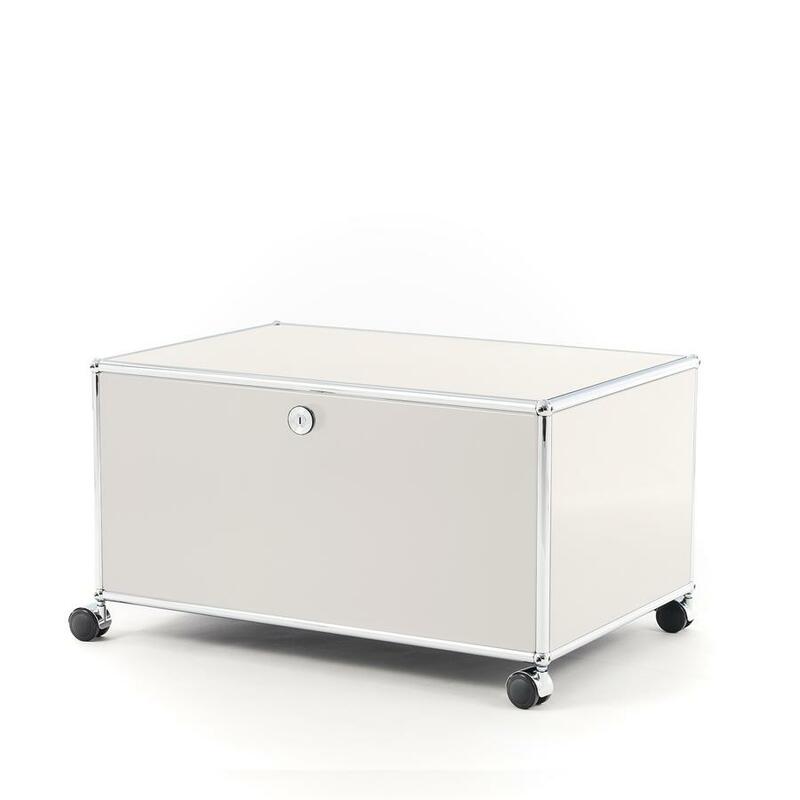 The sustainability of the USM system is inherent in the conception: As a modular system USM Haller can be rebuilt and reconfigured as required thus meaning it need never be disposed of or replaced. 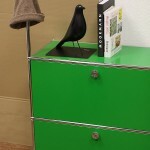 As an Fritz Haller developed numerous systems, as a designer, he designed the modular furniture system USM Haller. 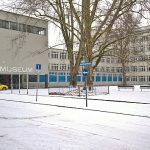 Not only Fritz Haller's architecture, but also Haller's USM furniture system - a project that is very closely related to his architectural work - is today clearly defined as functionalism. Although the term had already played a role as a key principle of the Bauhaus movement it was after the Second World War that functionalism evolved as the epitome of modern construction. In essence with functionalism all frills and embellishments are studiously avoided, and instead the aim is to achieve a universal and time enduring aesthetics by focusing on functional aspects. 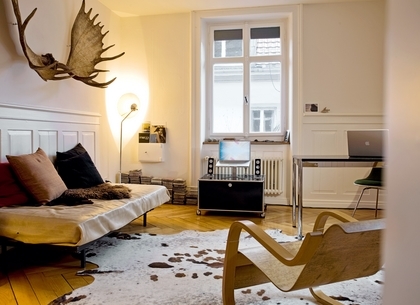 Not only in the world of office furniture does Haller's shelving system elegantly meet this requirement, but also, for example, in the living area with USM media furniture. On the one hand USM is with its flexibility, adaptability and functionality almost unbeatable, on the other hand, thanks to its rigorous reduction to basic geometric structures a timeless formal classic. 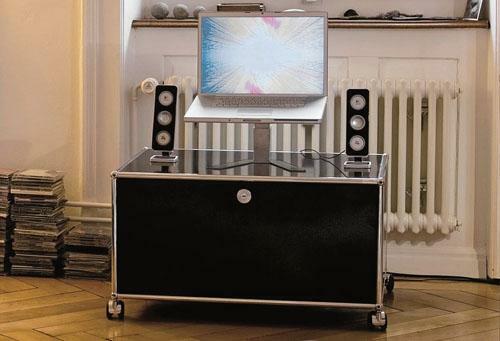 With the diverse USM furniture solutions it is possible to design for a variety of purposes, e.g.. a Hi-Fi and TV unit. The story of the manufacturer of the USM Haller company's history goes back to the year 1885 when Paul Schärer's grandfather, Ulrich Schärer, founded the company as a hardware and locksmith's concern in the Swiss village of Münsingen, near Bern. 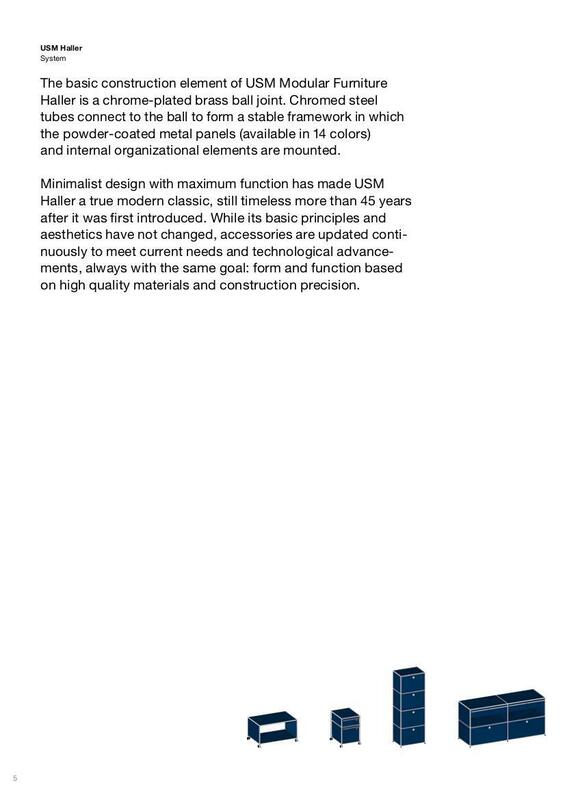 For decades USM produced hardware and window locks, until in the early 1960s Fritz Haller developed the USM furniture system as part of a construction commission. Serial production began in 1969 and the initial success meant that USM increasingly concentrated on the production of the metal furniture. 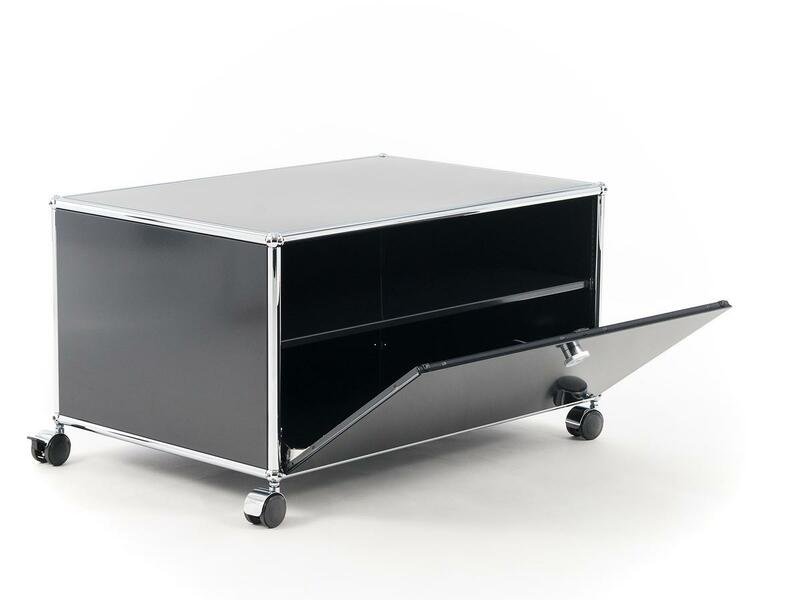 Since 1988 the USM furniture system is protected by copyright and since 2001 has been included in the permanent collection of the MoMA, New York. 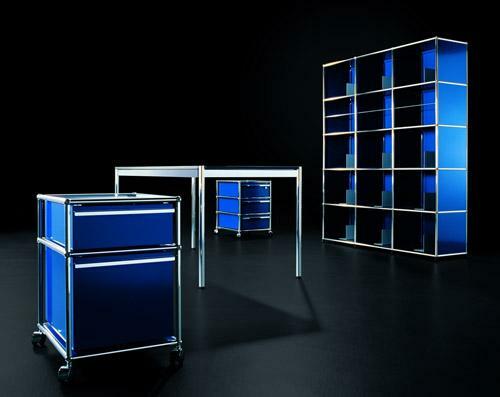 Since 1970 a dedicated design team has been concerned with the further development of the furniture system; the current portfolio including, for example, USM Haller tables and USM Haller mobile cabinets. In 1992 USM stopped the production of window fittings and now focuses exclusively on the production and development of system USM Haller. Although production was stopped in the 1990s, USM window fittings can still be found.